Being happy is a choice and one that we have meaningful control over. Smiling and being positive most of the time is a valuable leadership behavior. For those who say, “But, I have all these problems …” or “You don’t work where I work…” it is even more important to make a happier and healthier choice. My wife and I were watering flowers on our first day of volunteering at a hospice. A woman arrived to be admitted so she could live her last days as comfortably as possible. The average hospice stay is one week. She was being taken out of the back of an ambulance as she lay on a gurney. It was a beautiful summer day with temperature in the mid-70’s. The sun was warm, the light breeze carried the scent of the flower garden, and the birds were singing. She pulled the oxygen mask off her gray face. She took a deep breath and smiled as she absorbed that precious moment. She knew it would be the last time in the sun for her. My appreciation of warm sunshine on my face has changed forever. My appreciation of those precious moments gives me reason to smile. It’s too easy to make a big deal out of little things. The missed deadline or the irritating colleague can push us to lose perspective. We forget the bigger picture. We forget to smile more often and appreciate life as well as important people in our life. Even if you are afraid of losing your job, you can appreciate that you have a job today. We can acknowledge the problem and also have appreciation for what is good … like a beautiful day. It is not about being a Pollyanna. There are times to be serious … just not as many as most people seem to choose. Smiles are free. You feel better when you smile, and smiles are contagious. If we are keeping perspective we can find reasons to smile much of the time. I have talked to a number of people who cannot figure out a reason that anyone would buy an iWatch. I’ve talked to others who are just searching for an excuse to buy the iWatch. Now there is a “killer app” for the iWatch! 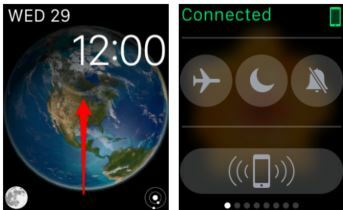 When you’re wearing the watch and you misplace your iPhone, you can locate the iPhone from your watch. What more could you ask for? The phone, of course, needs to be within roughly 30 feet of the watch. (Don’t tell anyone wanting to buy the iWatch that they can also just call the iPhone). Yes, I am one of the iWatch skeptics. I’m often attracted to the “bleeding edge” of technology, but even I have not found a way to justify the purchase. One of my clients has ordered the iWatch. He thinks the biggest benefit is that it will allow him to check his arm continually rather than walking around with a phone in his hand. That does make sense for some people. In 2010 there were many skeptics about the iPad … including me. So I’ll wait and see before being too much of a skeptic.